A class of drugs currently used to treat leukemia has been found to have some severe side effects – positive ones, that is. The drug was found to drastically boosting immune responses against many different cancers, reports a new study. The drug class is referred to as p110´ inhibitors. Recently, it has been used with significant success against certain leukemias in recent clinical trials; patients were given a placebo, and after a while, they were given the actual drug – and it started to work right away. However, until now, it hasn’t been tested against other cancers. The new study, which was published in Nature, shows that p110δ inhibitors have remarkable effects against a broad range of cancers, especially reducing the chance of relapse. Basically, these drugs inhibit the p110δ enzyme, boosting the body’s immune system, enabling it to kill more tumor cells. Initially, they tested it on mice, and the results were very exciting. However, many drugs which have good results in mice don’t work that well in humans – which is why this study is particularly interesting. ollowing p110δ inhibition, the immune system develops a sort of memory, enabling it to be more efficient with cancer in future battles, massively reducing relapse rates. An electron scan of T-cells. Image via Wikipedia. Aside for having obvious potential applications, this study also raises some questions about how the body fights against cancers. 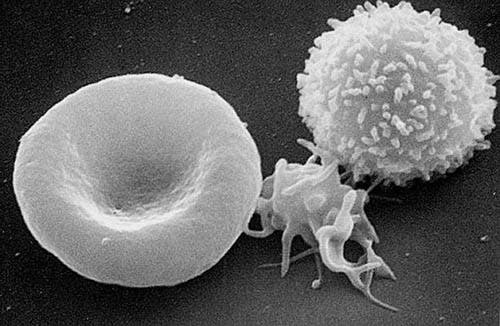 The gene p110δ regulates immune function; the enzyme is especially important for the regulation of T-cells, a type of white blood cells which play a crucial role in cell-mediated immunity. What they describe in this study is that P110δ inhibition reshapes the body’s immune system; regulatory T-cells become inactive, and instead a sub-population of T-cells, CD8+ cytotoxic T-cells become hyper-activated and hunt down and kill any rogue cancer cells lying around the body which may cause cancerous relapse to happen. It’s still not entirely clear why this is happening – the beauty and the curse of science.